Meet Stacia, a busy single mom and specialist in high-end furniture design. 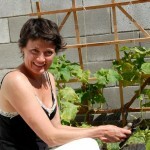 She started her vegetable garden two years ago and has been in love with growing a garden ever since. 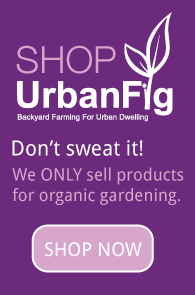 She loves urban gardening with her son and so does he. “It’s miraculous to see something grow and it has brought me back to a very natural, grounded sense of life,” she said. She works full time, and has very little time to tend to her garden. She’ll check the garden a few minutes in the morning or a few minutes in the evening. As long as she makes sure the veggies have enough water, she’s able to grow a lot with very little time. Her favorites are kale, haricot vert and cucumber. 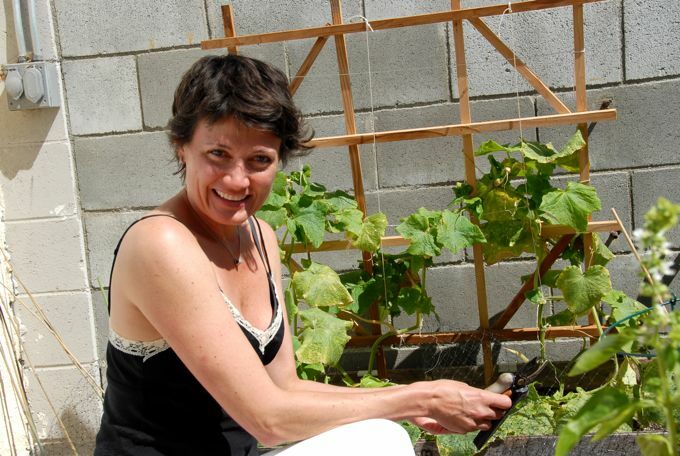 She makes sure she harvests with her son and he eats the veggies right out of the garden. Growing all of this delicious organic food “makes me want to live on a farm,” she said as she giggled. She thought it would be difficult to grow, but has been pleasantly surprised that she doesn’t have to be an expert or have that much knowledge. It’s all an experiment. To start her container garden, she added organic soil, planted seeds in little containers and then transferred them into raised wooden beds. For pest control, she uses organic sprays. For the future of her garden, she wants to expand it more and more, adding more variety whenever she gets her hands on more containers. Great post and inspiration for everyone who has little time or space. Love this blog, glad to stumble on it! Thank you. I’m glad you enjoyed the post. Thanks for Stumbling!